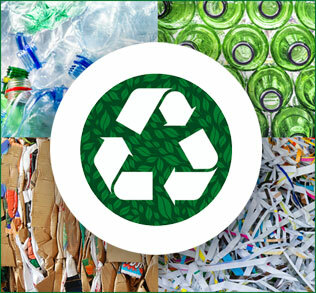 Integrity Recycling and Waste Solutions helps you manage your recyclables with the latest technology. We provide a wide range of services including equipment design, financing, installation, and implementation. We know that having the right equipment can make all the difference. We have assisted in the engineering, development, and financing of some of the most state-of-the-art recycling systems in the country for our clients. Integrity has access to hundreds of new, used and reconditioned machines, as well as custom fabrication to meet your unique needs for a customized recycling application. Consistent with our green philosophy, Integrity will explore and implement applications and equipment that are sustainable to our environment. We’ll train your employees to use your new equipment and work with you on trade-ins of your existing equipment as well. Our capital position and resources enable us to serve as our clients’ financing partner for capital projects of all sizes and we offer free return on investment analysis to ensure that your project is right for you. Short-term rentals and long-term leasing arrangements are also available. Whether you’re upgrading your shredders, installing a baler/compactor, or designing a full air system for a new facility, our equipment experts will work with you to ensure that you get the technology that best suits your needs and your budget. Call us today so we can start partnering on recovery options for tomorrow!